It's a Mom Thing Reviews & More! 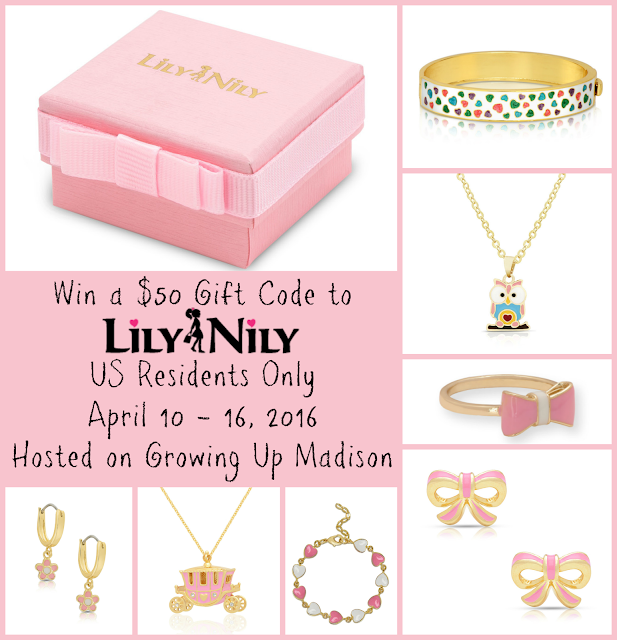 : Lily Nily Giveaway! If you have a little girl or know a little girl, chances are she loves princesses and also loves dressing up. However, depending on the age of that little girl in your life, you may not want to spend a lot of money. Kids are prone to losing their jewelry and they can also be rough with them, but if you have a child with allergies, you also don't want to spend money on jewelry that will make them break out in rashes. Introducing Lily Nily, quality jewelry for children without the high price tag. From dangling charm bracelets, necklaces and even dainty earrings, you can find a piece that you love at Lily Nily. One of you will win a $50 Gift Code so you can choose that perfect piece for your little one. This prize is sponsored and will be delivered by Lily Nily. Winner will have 48hrs to respond to the winning email. Failure to do so will mean forfeiting your prize and a new winner will be chosen. Good luck! I think the 3D umbrella pendant is absolutely adorable.